So Much to Say, So Few Characters: That is Twitter to a tee, proof that less can be more. Image by JeremyKramerDesign/Shutterstock. If a picture paints a thousand words, then a pixel paints 140 characters. This, alas, isn’t Twitter’s tagline, but the world’s favourite microblogging site has captured the imagination of many users. Some famous, several not-so-famous. Twitter first made its presence known on the 21 March 2006. It was originally known as Twttr, so as to stay within the strict character limits. Moreover, this was consistent with other social networking sites which elected to drop their vowels (see also Flickr and Tumblr). From the start, Twitter was to all intents a mobile-orientated social networking site. In its early days, users could tweet via SMS text messaging. Hence the 140 character limit. Even so, Jack’s first tweet was just as iconic as Leslie Mitchell’s words almost 80 years ago. Growth was steady; the arrival of smartphones led to a greater rise in popularity. Twitter came into its own on Blackberry and Android devices with apps superseding the SMS-based system. With the SMS-based system losing out to official and unofficial Twitter apps, this offered greater flexibility. Sharing hypertext links and images became the norm. Soon, tweeting became the norm as celebrities used Twitter to tweet their whereabouts. Its staccato telegraph-style nature demonstrates the site’s suitability for quick news alerts. Where Twitter succeeds is in spontaneity, later a selling point of Snapchat. It is good for informing followers of your latest blog posts like this one and answering straightforward queries (such as traffic news). Twitter has brought a few subcultures into our consciousness. One is Follow Friday whereby one user suggests other users that are worth following. Another one is the hashtag – or hashtagging. 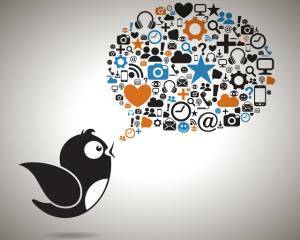 The use of hashtags as a reference point and search strings have become a main feature of Twitter. The use of which is designed to drive people to your site or the attached image as well as the tweet. Today, hashtags are everywhere. Not only on Twitter, but also on its rival social networks like Facebook, Instagram and Google Plus. For example, Coronation Street could also be written as in hashtag form #CoronationStreet or #Corrie. Other parts of the Twitter subculture include Twitter Jail, whereby Twitterers are sent to ‘jail’ for tweeting too often. In other words, they are blocked for a certain period of time, under the assumption they could be spamming and that the frequency of tweets seems to be abnormal. Some users have created further accounts to circumvent their stint in their virtual penitentiary. In its earliest years, its most famous meme was the Fail Whale. This appeared when Twitter’s servers were inundated with tweets, particularly during a notable event. The Fail Whale image saw the white whale being picked up by eight red birds. As the social networking site’s server capacity increased, the Fail Whale was retired in 2013. Another subculture is that of the Twitter Storm. The social networking site is used as a form of lobbying and agitation, especially towards public figures. For a given period, masses of Twitterers would incorporate a given hashtag and make a comment about a given subject. In doing so, this aims to raise awareness of a given cause, for example, disability rights. Part of Twitter from the start is the ‘Like’ and ‘Retweet’ options. The Retweet option is used in many cases as a ‘nod of approval’ to one’s tweet. As for the Like option, that is pretty self-explanatory. This has now changed from a star to a heart. Modest beginnings, but we needed to start somewhere. Back in 2013, Twitter gained mass acceptance thanks to the rise of Android-powered mobile devices. Today, it is part and parcel of any business’ social networking campaign. In spite of reports over its shaky finances, Twitter – or least any form of microblogging social media site – is going to be with us for some time. Here’s to another 10 years of #FollowFridays, hashtags, and Twitter Storms.